I am "spraying" my purchases this weak. BCR and CLX are new positions that will start out small. If they pull back more I will purchase more. HRL, KMB, ADP, BCR, CLX all have pulled back a bit from their all time highs. I decided to drip in. Below are charts showing CR Bard's earnings history (blue line) and how the price (black line) follows relatively closely the growth in earnings. 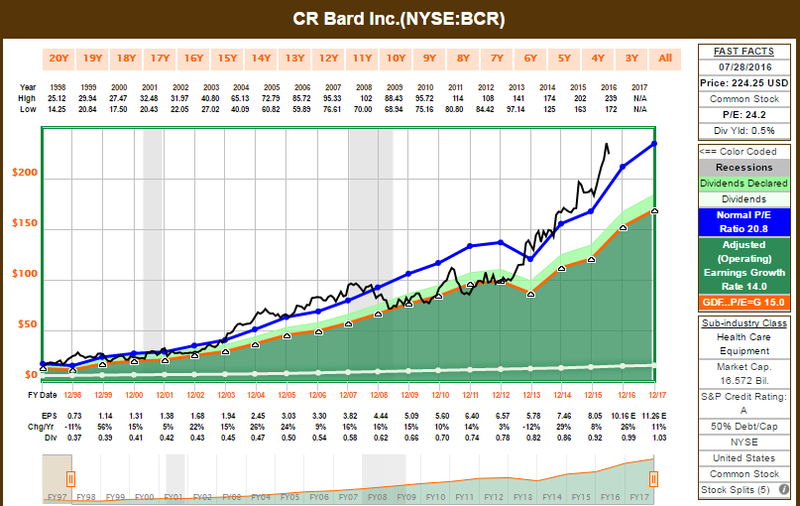 BCR pays a low dividend and does not hike it very much. Their payout ratio is very low. They prefer to fund their business to grow further instead of paying fat dividend checks. So for BCR, I expect it to grow in capital gains faster than my other companies. 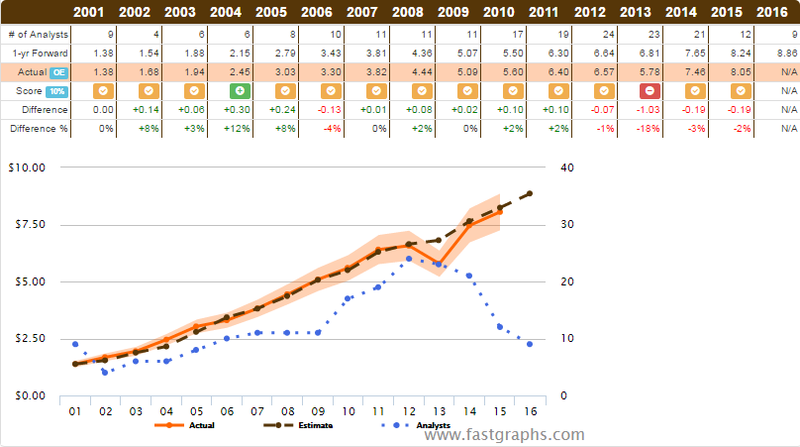 The second graph below shows the earnings that analysts predict and how close the actual earnings are. BCR has a very robust predictable business model. They sell devices that are needed even during recessions.